#IFindThatAttractive You understand my faults and look past them! #IFindThatAttractive When guys are so thoughtful and are willing to do special cute stuff for you. #IFindThatAttractive when you hold my hand in public and call me babe. #IFindThatAttractive when a guy cares about school and his future. 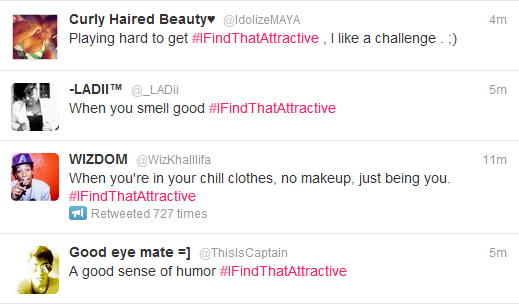 What do you find attractive? Let us know!